A very important issue we will be bringing renewed attention to in the Financial Services Committee is housing. This country is experiencing a house, affordability and homelessness crisis. Today, there are over half a million people out there experiencing homelessness right here in the richest country in the world. Over one-fifth of homeless are children. This includes the veterans who we failed to support when they returned home after serving our country; women fleeing domestic violence; people who have left prison after serving their debt to society; and people who have simply fallen on hard times. It is simply shameful, and Congress indeed has a responsibility to act. And so I will soon be re-introducing my bill, The Ending Homelessness Act, which would help to ensure that every American has a safe, decent and affordable place to call home. The bill provides $13.27 billion in new funding over 12 years to federal programs and initiatives to prevent homelessness. In addition, we will be holding committee hearings on homelessness and important housing issues that have gone ignored during the last Congress in order to elevate the housing issues into a national discussion and present proactive solutions and remedies. Waters also called for housing finance reform, and she announced the creation of a new subcommittee focusing on “diversity and inclusion” in the financial services and banking industry. Waters repeatedly has called for the impeachment of President Trump. She absolutely rejects his call for a border wall to control the hordes of foreigners who try to enter the country illegally. Many of those people are desperately poor and in need of the housing that Waters hopes to provide with her $13.27 billion. That $13.27 billion is $7.57 billion more than the $5.7 billion Trump is requesting for his border wall. 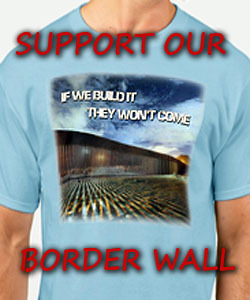 Not ONE FRIGGIN’ DIME until the wall is fully funded and built. No more lies! 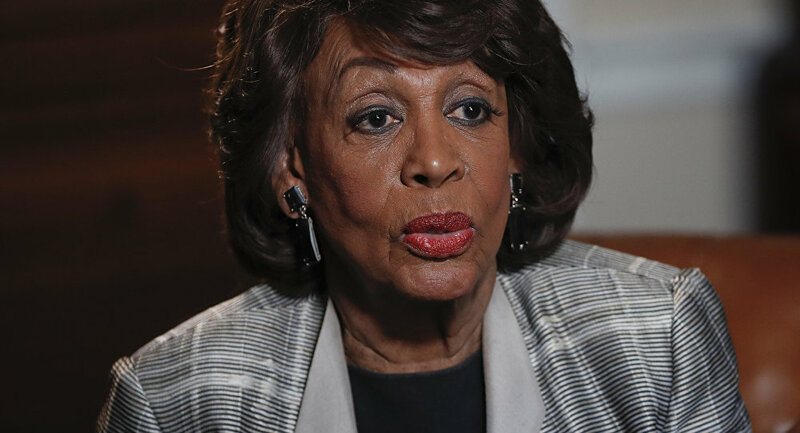 Sounds like Maxine is aiming at re-instituting the 1977 Community Reinvestment Act – most likely sprinkled liberally with many ACORNS, like Obama, who will be trained to shake down banks that don’t comply. It’s the same formula Bill Clinton (and Hillary) did during his administration. Then when the crises came in 2008, they turned around and blamed Bush tax cuts! So, if successful, Maxine will have banks writing mortgage loans for everyone able to sign their name. She and rest of the Democrats will celebrate her success – until it all blows up in their faces, AGAIN. What then? Simple! They’ll blame Trump’s tax cuts. I WARNED PEOPLE. THIS IS WHAT WE CAN EXPECT FOR THE NEXT 2 YEARS – SPEND, SPEND SPEND, OTHER PEOPLES MONEY AND DOESN’T GIVE A TINKERS DA_ _ ABOUT ANYONE BUT THEMSELVES. SHE WOULD PROBABLY GIVE THE CONTRACT TO BUILD THIS USELESS GARBAGE TO HER HUSBAND’S COMPANY. CORRUPT, CORRUPT, CORRUPT. This lazy, lying, cheating, racist, ignorant poor excuse for a woman doesn’t even actually live in the district she represents!!! $13.27 BILLION for lazy louts who don’t want to work and expect hard working, heavily taxed Americans to bail them out!!!! It’s time this crazy a$$ idiot went home via the God or Devil Express!!!! it’s NOT the job of the FED GOVT TO PROVIDE HOUSING TO ANY ONE.